← Acorn Kitchen Pop-Up Picnic This Sunday July 13th! This week’s picture was taken at the Carrboro 4th of July celebration. 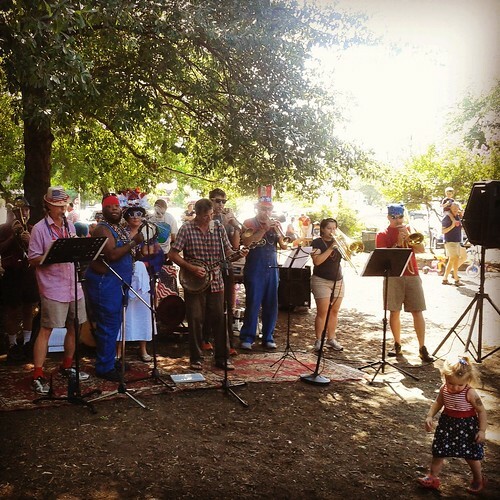 I was there playing my trombone with The Bulltown Strutters on the Weaver Street Market lawn. Following a short set we lead the people’s parade to the town commons for the 4th of July Festival. I love making trips to Carrboro becasue it gives me a chance to visit one of my favorite coffee shops, The Open Eye Cafe. I highly recommend exploring downtown Carrboro, especially on Saturday’s when you can start your day at the awesome Farmers’ Market. Carrboro is a great little Triangle community to visit. user can understand it. So that’s why this piece of writing is great.